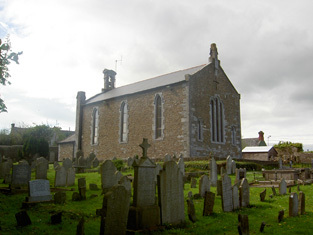 Detached former church, built 1838-40 on site of medieval church, with three-bay nave elevations and pitched entrance porch to west with recent lean-to extension. Closed 1991, now in use as heritage centre. Pitched slate roof with terracotta ridge tiles and cut limestone coping and eaves course. Carved limestone finial to east gable terminating in corbel, and chamfered cut limestone bellcote to west gable. Rubble sandstone walls with dressed limestone buttresses to west gable, dressed limestone plinth course, and having recessed cross above east window. Openings have chamfered cut limestone block-and-start surrounds and have hood-mouldings. Lancet windows to nave and porch having replacement leaded glazing. 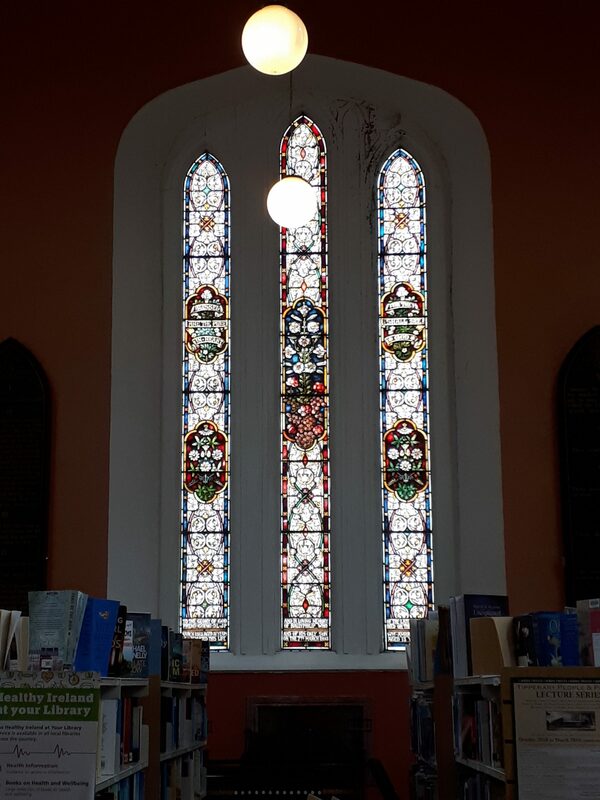 Triple lancet window with stained glass set under continuous hooded moulding to east elevation, flanked by single lancet windows. Four-centred arch doorway to north side of porch, with timber battened door and dressed limestone surround. Pointed segmental doorway to east end of north wall, with replacement door. Timber truss roof to interior and gallery to west now enclosed. Upstanding and recumbent headstones to graveyard. Rock-faced limestone piers and boundary walls having wrought-iron entrance gates and railings to front of site. 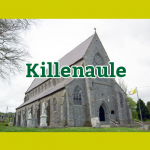 Located on the highest point of a gentle slope this former Church of Ireland church contributes significantly to the architectural heritage of Killenaule. The random sandstone used in its wall construction contrasts with the more finely dressed limestone used in the window and door surrounds. This contrasting use of materials along with the stained glass of the east window add artistic interest, enlivening the building. The surrounding graveyard, with carved grave markers, boundary walls and wrought-iron gates, contribute to the setting. 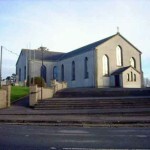 Slieveardagh Rural Development centre is based in the former C.O.I, River Street, Killenaule since 1995 where a general secretarial service and computer training courses are provided. Two people full time and one part-time assistant are employed in the Centre. As well as books there are all kind of other items you can borrow or use in the library. For example we have Fiction. Non Fiction Large Print Books. Books on cassette or CD. Videos Encyclopedias, Dictionaries etc Local Studies Collections Internet Access and PC facilities. Requests. If you want a book or other items that is not in stock we can get it for you from another branch within the county. Class and group visits Classes and groups are welcome to visit the library. Let us know in advance and we can give guided tours and show you how to use all the services the library has to offer. Did you know that the stained glass window in the RC church of St Mary’s is reputed to be the largest stain glass window in the country? 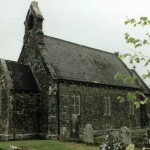 It was installed by Clarkes of youghal in 1848. 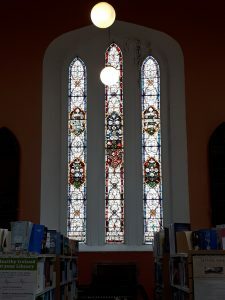 Another little known fact is that the Library in Killenaule is the only library in Tipperary to be located in a church and contains a stained glass window maded by Meyer and Co in Munich, dating back from the early 1800′s. Franz Meyer and Co is a stained glass company based in Munich, Germany and is responsible for stained glass in at least nine of Ireland’s Cathedral Churches. 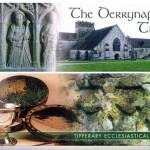 – For more information contact; Donal McGettigan, Branch Librarian.